Can Sebastian Vettel take the F1 championship lead in the same way he lost it? A collision with Max Verstappen in China was the turning point as Sebastian Vettel went from leading Lewis Hamilton by 17 points to trailing by 14. 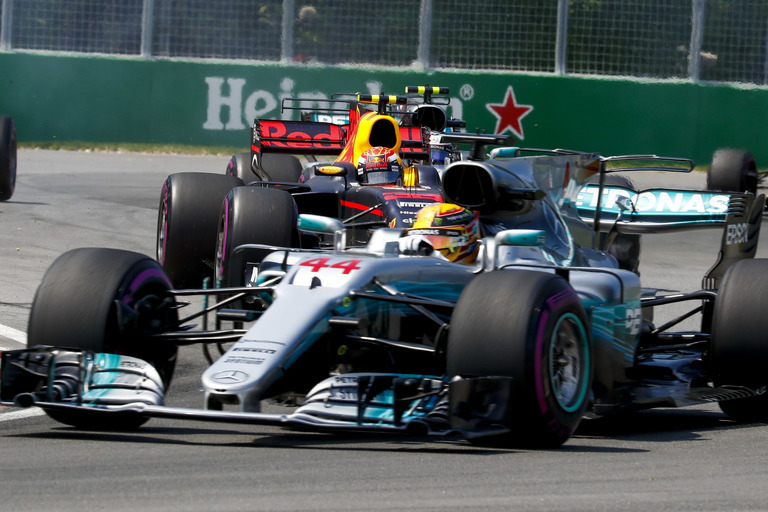 Will Red Bull’s engine upgrade put them on the gearbox of Mercedes at the Canadian Grand Prix? The Ferrari driver was a little lucky in Australia (capitalising on a virtual safety-car by leapfrogging Hamilton) but was unassailable in Bahrain – storming to pole and fending off Valtteri Bottas for victory. Commanding such a lead after just two races was a statement of intent, five years on from his last title. The Chinese Grand Prix, the third race on the calendar, usually favours Hamilton, who is the most successful driver on the circuit with five wins. This year it turned out great for him in a way that no-one expected. On lap 30, the two Red Bulls cashed in on a safety-car situation by fitting fresh tyres, leaving the remaining frontrunners (Bottas, Vettel and Hamilton) as sitting ducks. 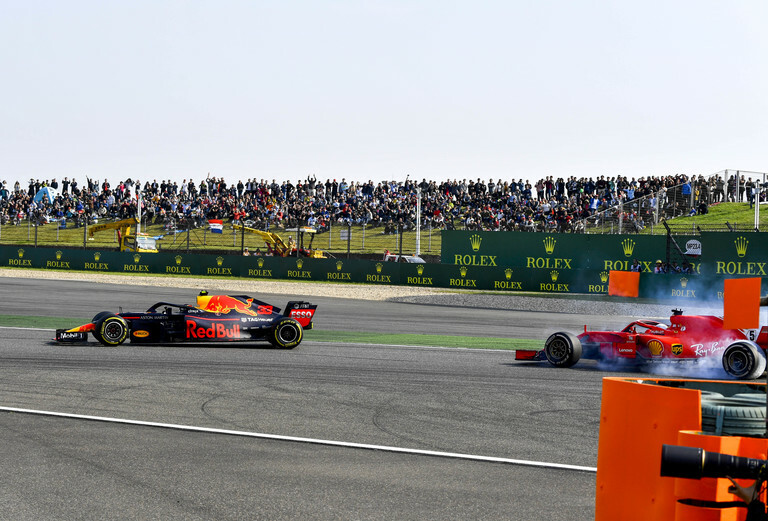 Daniel Ricciardo stormed into the lead from sixth while Verstappen made a glaring error and collided with Vettel’s Ferrari on lap 43 – causing the German to finish eighth. Hamilton finished fourth in China and cut Vettel’s championship lead to nine points. This slight swing in momentum was the catalyst for Vettel’s decline in Azerbaijan and Spain. Azerbaijan was a case of bad luck followed by driver error as his over-ambition gifted victory to the Brit. Vettel overtook Bottas (who had snatched the lead from the four-time champion in a pit-stop scramble), locked up and went deep into turn one, losing three places. The safety-car period that triggered this turn of events was due to Verstappen and Ricciardo’s terminal shunt. In Catalunya, you guessed it, the Dutchman was involved once more as he finished ahead of Vettel after Ferrari made a bad call to pit in reaction to a virtual safety-car. This meant that by race six in Monaco, Vettel’s 17-point buffer had swung into a 17-point deficit to Hamilton. Can 13/8 second favourite Vettel end Hamilton’s streak in Montreal? Now to the Canadian Grand Prix. With the gap down to 14 points, can Vettel come away top of the standings – and will Verstappen be at the heart of another title race twist? The Circuit Gilles Villeneuve has multiple long straights, with the drivers on the throttle 59% of the lap. The FIA have also added a third DRS zone to aid overtaking, potentially giving Ferrari an advantage similar to that of Bahrain, where they locked out the front row in qualifying. If this is the case, Red Bull Racing will challenge Mercedes to keep Hamilton off the podium. Christian Horner and co have got engine upgrades in line for the Grand Prix du Canada. There was some uncertainty around installing an upgraded Renault engine in fear that they would incur a penalty later in the season – but they’ve decided to take the risk. On the subject of penalties, Ricciardo will not take a 10-place grid penalty to replace the faulty power unit that caused him to lose pace in Monaco. He’s been able to recycle the parts of a previous unit. Verstappen won’t face one either as he replaced his power unit in Monaco, so could come to Vettel’s aid (for once) by challenging Hamilton and Mercedes on raceday. The current world champion will take some beating though, clinching pole and race victory in all of the last three Canadian Grand Prix. He’s the 11/8 favourite to take maximum points. Verstappen isn’t too popular on the paddock but he always delivers excitement and drama for the fans. In some ways, the 9/1 shot is the wild factor in determining this year’s champion – and could be Vettel’s unlikely kingmaker. As long as Red Bull Racing can challenge Scuderia-Ferrari or Mercedes at any Grand Prix, expect Verstappen to be at the heart of the major twists in the 2018 title race.